At under five dollars, a tarp is one of my least expensive, but most important, pieces of outdoor gear. Those who spend any amount of time outdoors in BC know that conditions can change rapidly at any time of year. My wife’s first trip with me to a walk-in fishing lake started with a sunny August day in the low 20’s Celsius. A few hours later it clouded over and we got soaked during a downpour that included hail. The return hike only took a few hours, but lesson learned. I often use a tarp to cover my cooking/fire area. This is usually a good 100m away from my tent. I find that if I don’t have such an area set aside and it begins to rain, I resort to cooking in my tent, or postponing my meal. As far as actual gear goes, the tarp in my number one piece of contingency equipment. If a tent gets ripped during a storm (falling cones or branch debris), it’s easier to cover it with a tarp than attempt a repair, this is especially true at night. If a day outing unexpectedly turns into an overnighter, a tarp could save you from a soaking and possible hypothermia. Likewise, if you’re in a hot climate with no shade, a tarp is a life saver. 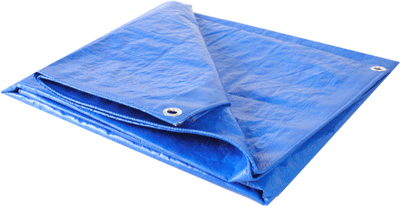 A 5×8 tarp is cheap, light, and takes up very little space. I always have one folded inside my pack, close to my back.